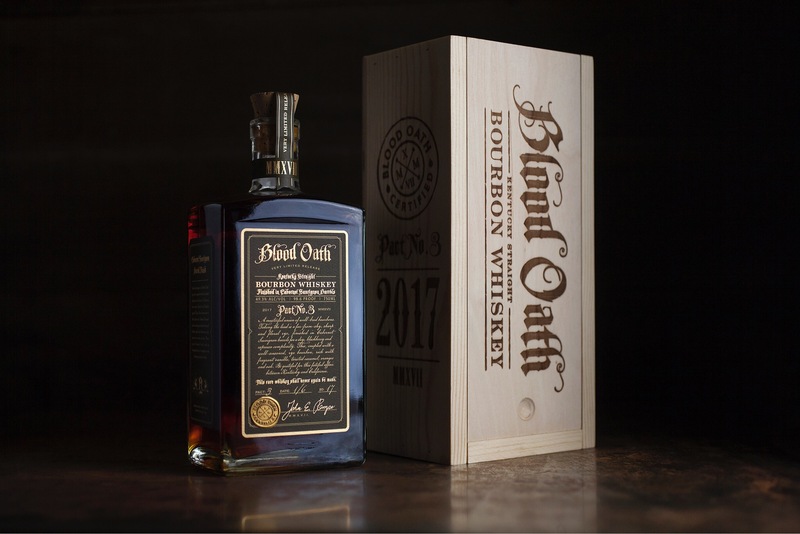 Blood Oath is St. Louis-based Luxco’s limited edition bourbon. Each year brings a different blend of (sourced) bourbons, with the promise to never repeat. We’re now on the third release, or Pact No. 3. This one is a blend of two 7-year-old bourbons and a 12-year-old bourbon. The three bourbons contain rye as the traditional flavoring grain. In this release, one of the 7-year-old bourbons is finished in Cabernet Sauvignon wine casks from Swanson Vineyards in Napa Valley. Last year’s Blood Oath Pact No. 2 featured a port wine cask finish on a portion of the blend, and was quite enjoyable. Following the first two releases, Blood Oath Pact No. 3 is bottled at 98.6 proof and comes in a nice wooden box for a suggested price of $99.99. Only 10,000 3-pack cases have been created, so there’s a lot to go around, but it shouldn’t be too hard to find a bottle. I had the chance to host Luxco’s Director of Brand Research and Development John Rempe for a virtual tasting of Blood Oath Pact No. 3 and Rebel Yell 10 yr. My full tasting notes are below the video. There is roasted sweet corn, raspberries and cherries on the nose, all resting on a bed of dark toffee. Light hints of vanilla, spice and barrel char round things out. On the palate, this bourbon manages to balance fruit and caramel notes. Red fruits, caramel, espresso and dark brown sugar are complemented by creamed corn, slighly drying oak tannins and a refreshing herbal character. The finish is long, featuring rich caramelized fruit, spice, and orange rind, leading to some bittersweet barrel char.